A good cook knows the secret to a rich and delicious soup or stew: bay leaves. The aromatic, olive-green herb is often credited with giving a dish the subtle intensity and depth that makes a meal particularly memorable. Not only do bay leaves taste good, but they are also good for you. According to Organic Facts, bay leaf has properties that are detoxifying and slow aging. The herb also fights bacterial infections and improves everything from respiratory issues to heart health. It is a powerful herb, from which everyone can benefit. Continue reading to find out the best way to make bay leaf a part of your everyday lifestyle! 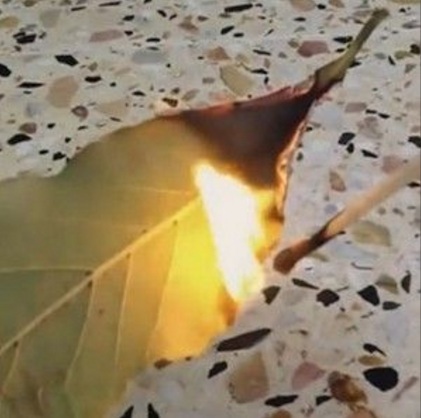 The combination of chemicals in bay leaf produce a calming, psychedelic effect when burned. Simple Organic Life explains all you need to do is light a couple dried bay leaves in the same way one would incense. As you breathe in the vapors, you will fall into a relaxed, yet alert, state of mind. The best part of burning bay leaf is that it doesn’t make you sleepy, but instead wakes you up and banishes fatigue. Ayurvedic Oils says bay leaf is a stimulant for respiratory passages and can help dislodge phlegm and mucus in the lungs. The best way to heal your respiratory system with bay leaf is to inhale steam treated with bay leaf in the form of fresh or dried leaves, or oil. You can also massage bay leaf oil onto your chest to treat allergies and asthma. Ayurvedic Oils says you can also add a few drops of bay leaf oil to your daily shampoo in order to fight dandruff. 4. Diabetes. An article jointly published by the NWFP Agricultural University in Peshawar, Pakistan and the USDA Beltsville Human Nutrition Research Center found bay leaf to be an effective treatment for people with type 2 diabetes. The study showed that consuming just 3 grams of bay leaf per day can decrease glucose levels. 5. Digestion. Cultures from the Mediterranean to East Asia which use alternative medicine believe in the heating and healing power of bay leaf. According to Ayurvedic Oils, bay leaf boosts the “digestive fire.” Include bay leaf in your cooking or rub bay leaf oil on your stomach after eating to promote the secretion of digestive juices, enzymes, and bile. 6. Heart health. An organic compound found in bay leaf called caffeic acid is known to strengthen capillary walls in the heart, reports Organic Facts. It also helps eliminate bad cholesterol from the cardiovascular system. Include the herb in your cooking. This recipe for salmon wrapped in bay leaf is especially heart healthy. 7. Joint inflammation. A 2003 study published in Phytotherapy Research found the anti-inflammatory and pain relieving properties of bay leaf essential oil have comparable effects as anti-inflammatory drugs like morphine on inflammation throughout the body. To relieve pain, rub bay leaf essential oil on sore joints and use bay leaf as part of your regular diet. 8. Urinary infections.Drinking powdered bay leaf mixed with milk is an ages old treatment for urinary infections, says Ayurvedic Oils. Bay leaf is an all-powerful miracle herb. It is inexpensive and widely available anywhere herbs are sold. Try adding a few leaves to your next soup, vegetable, or meat dish. And don’t forget to try bay leaf essential oil to treat dandruff, respiratory problems, and inflammation.